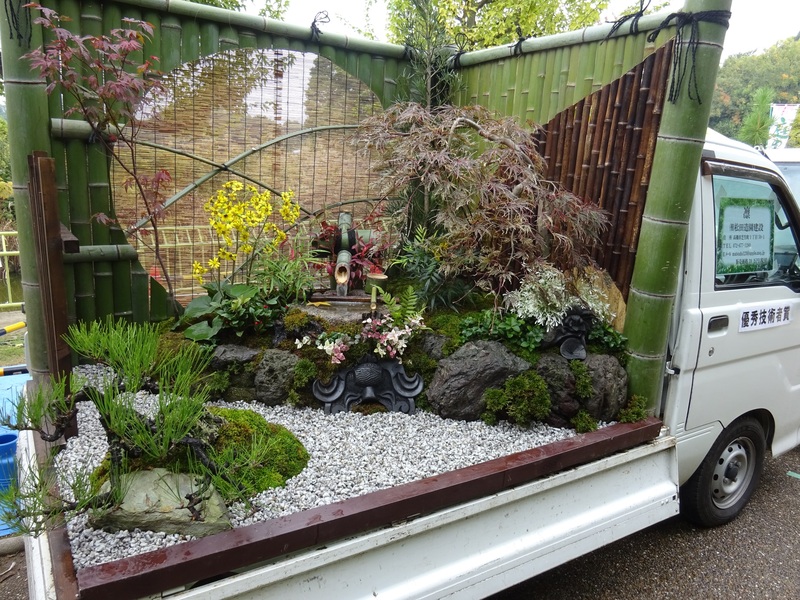 Set within the beds of small white Japanese pickup trucks known as ‘kei,’ these gardens are so lush and complex, they look like they’ve been established for many years. In reality, each one had been in place for just a few hours before these photographs were taken. 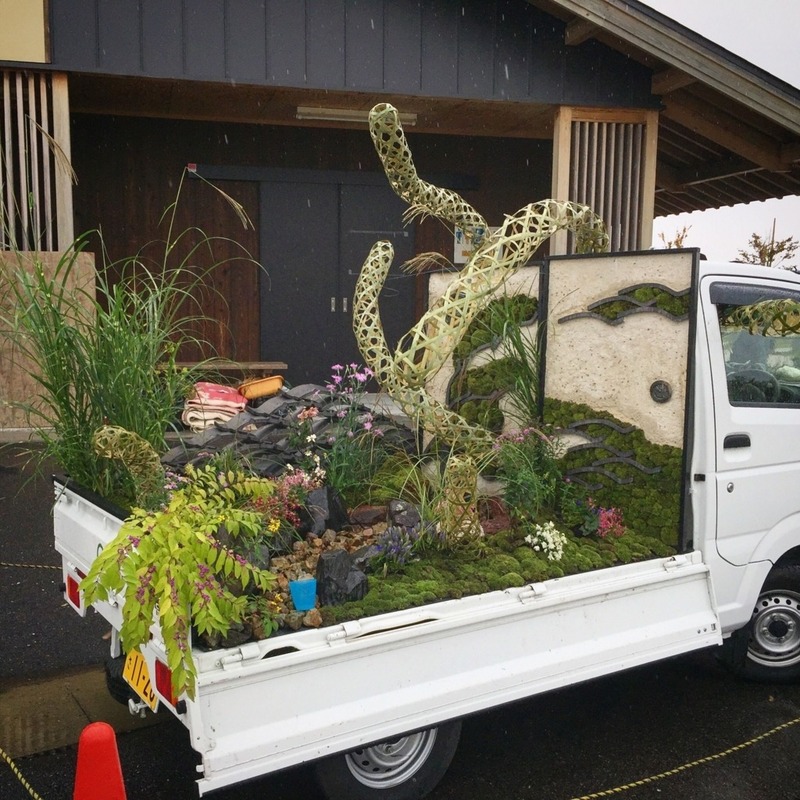 The miniature gardens were created for the annual Kei Truck Garden Contest held by the Japan Federation of Landscape Contractors, held at the Nagai Botanical Garden in Osaka on April 29th and 30th. 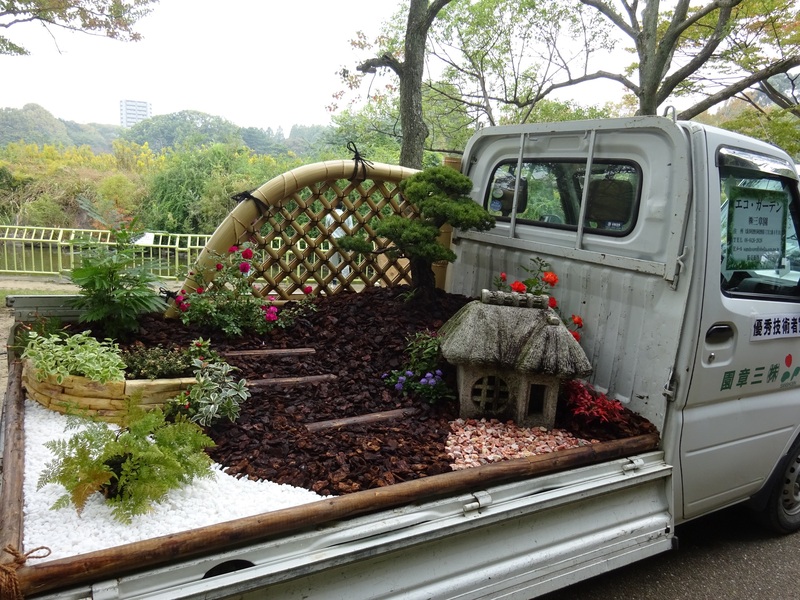 Thirteen companies participated, each one creating their own interpretation of the theme. 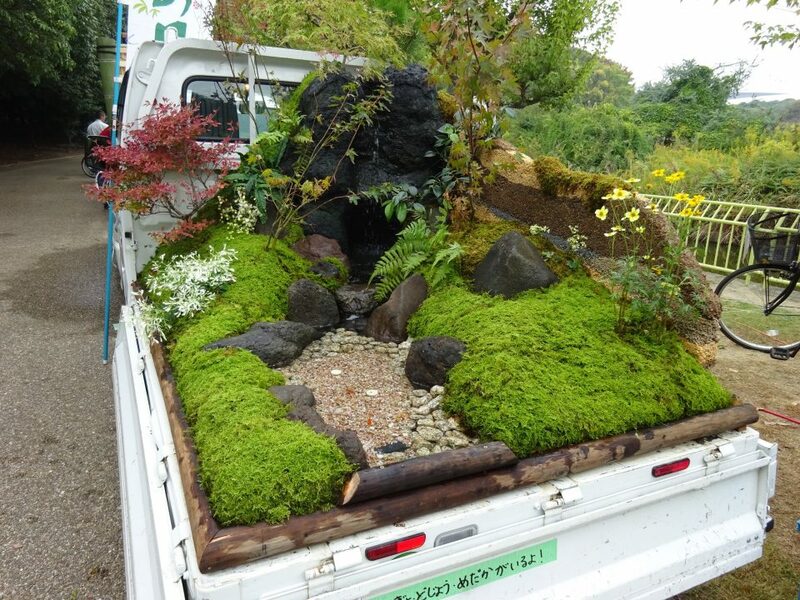 Other than the simple instructions to build a living garden within the truck beds using standard landscaping materials, the contest has very few rules and directives, and the participants are free to design whatever kind of garden strikes their fancy. 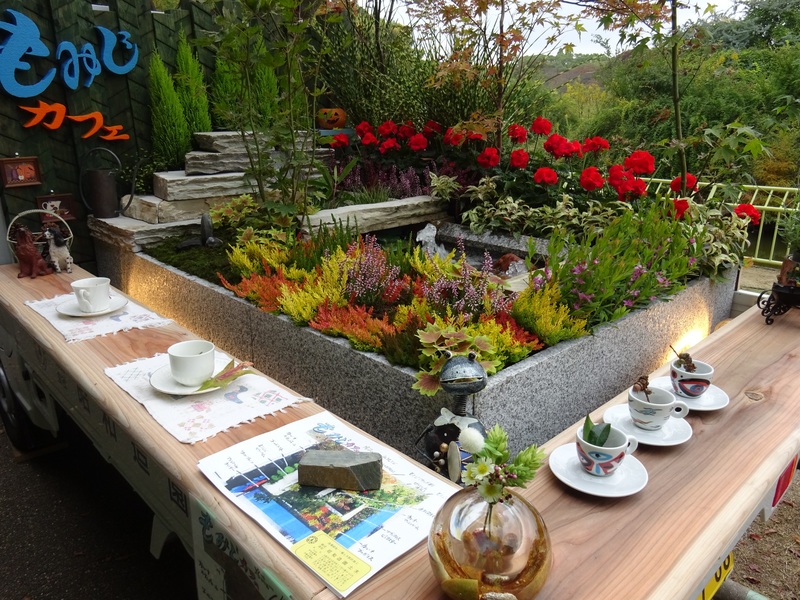 As this year’s entries show, the results range from formal Japanese tea houses to more American-style gardens complete with decorative wagon wheels. 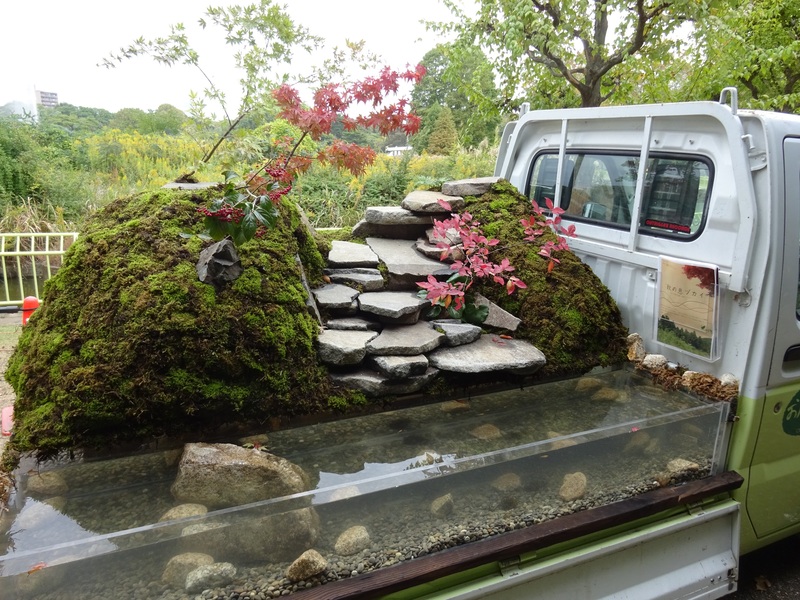 Some integrated furniture, fencing or water features, and one even boasted its own glass-walled pond. 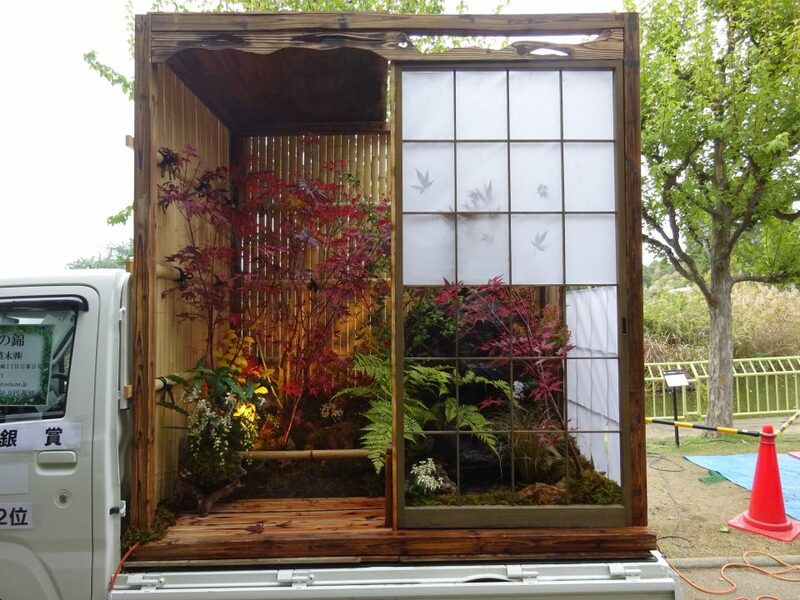 The judging criteria looked for “planning ability, expression power, design, enforcement and consideration of the environment.” First place went to a lush mossy garden entitled “Clear Flow Drifting in Autumn” by Landscaping Co., LTD, which features a dry creek bed and a softly hilly topography (top image), while the indoor/outdoor space with shoji screens called “Nishiki of Autumn Leaves” nabbed second prize and the mysterious “Secret Base of Green Tea” with its cave-like roof structure won third. 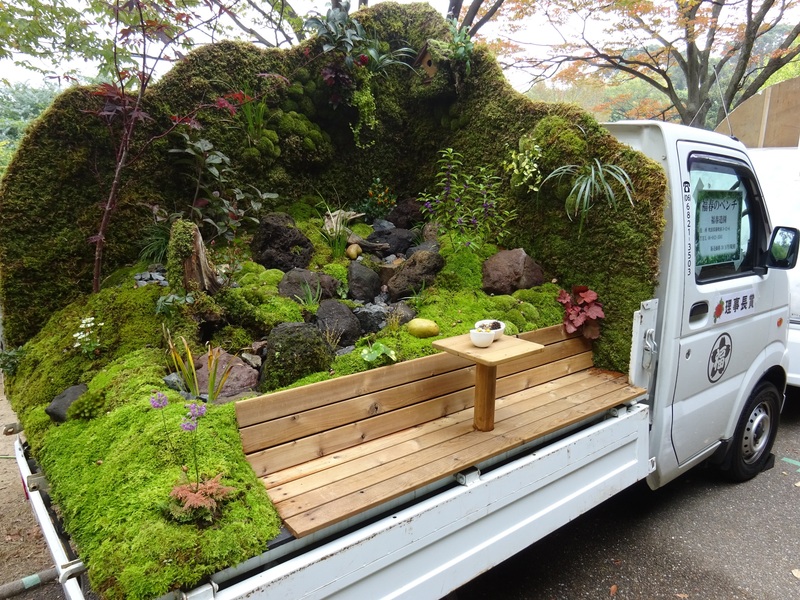 The contest is a fun twist on the “portable park” concept sometimes seen in cities like San Francisco, which reclaims parking spots as green space for urban residents. 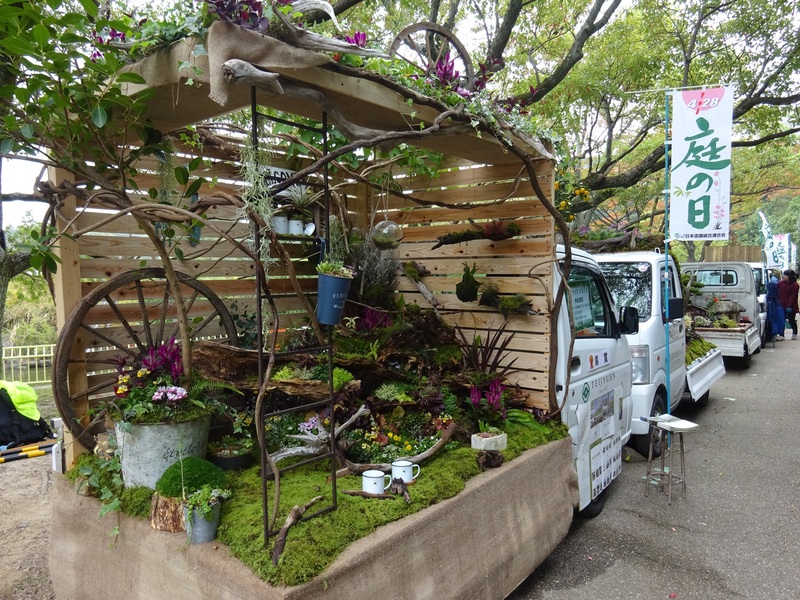 To see more, check out this PDF from the Hanshin branch.